Not that many people venture into Nepal. Despite its close proximity to the Himalayas and its once prominent status as a hippie getaway in the 60’s and 70’s, Nepal has in more recent times become something of a dubious travel decision. Part of this is attributable to the civil war that raged there from 1996-2006. That period certainly wasn’t much for luring in travellers and even today there has been problems with Maoist insurgents who create a somewhat unstable environment for visitors. Regardless of these setbacks in hospitality, Nepal is once again on a mission to lure back the tourists that had previously arrived in hordes. Their solution? 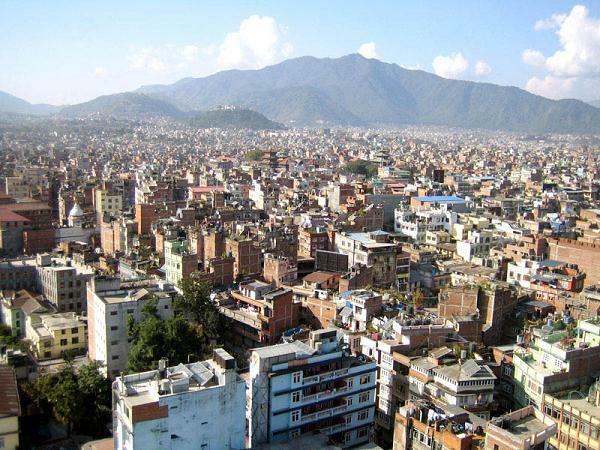 A series of newly created and funded state initiatives called Nepal Tourism Year 2011. The first part of this was bringing Canadian singer/songwriter Bryan Adams over for a concert. Once state officials realised that no one actually wanted to see Bryan Adams, they came up with the next idea, this one much better suited to bringing in new and different people and points of view. So, this past weekend, Kathmandu was the site of the Nepal International Tattoo Convention. ‘Despite being an integral part of some of Nepal’s ethnic cultures, tattoos have had a sketchy reputation in the nation’s past. They were once synonymous with the “free love” ideology made popular by the hippies who strolled Kathmandu’s backpacker hub known as Freak Street during the late-1960s and 1970s. A pretty great idea actually, and one that really seemed to draw in a decent crowd. Not only that, but artists from all around the world made the trek for the weekend long event, with 91 indoor stalls set up for tattooists. Hey, it’s a long journey to Nepal, but I’m sure it would have made for an unforgettable time.